which meets after school every Thursday. 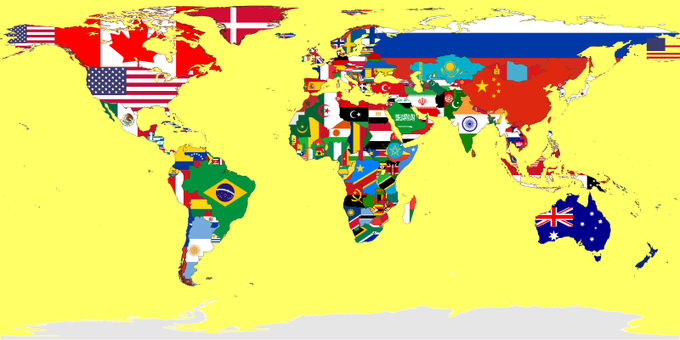 for pupils to learn more about other cultures. 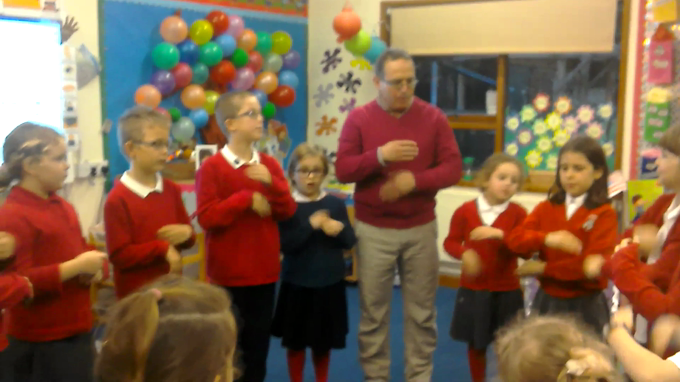 So far this year, club members have been learning French by singing songs, saying rhymes, miming and doing playground games such as "Le Chat", "choco-choco-la-la" or "Le Fermier n'est pas passé". There are also plans for the Escargroves to cook some foreign food in the future. All the children, parents and staff who attend the club have got a keen interest in foreign languages and cultures. Mrs Graham is keen to see how young children react to learning a foreign language. Mme Godet and Mme Garnier are looking forward to teaching some German songs and stories. Mr Fisher has even promised to come and visit with his guitar to teach some Spanish songs. The children themselves are eager to share aspects of their own culture. 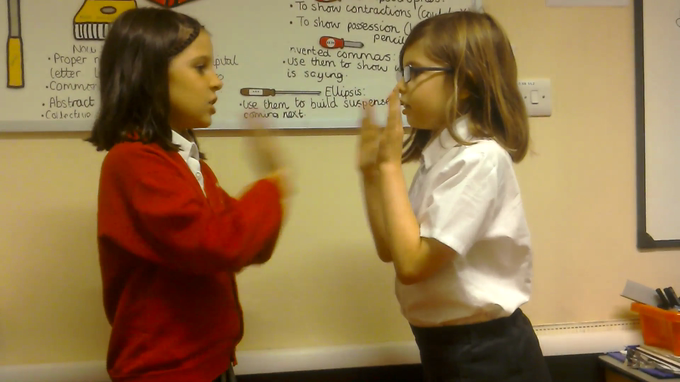 Stephanie is keen for her peers to learn more about her Polish roots whilst Aya brought her dad to the club this week. He speaks 5 languages among them English, French, Arabic and Italian. He grew up near the French Alps and it said that joining in our games and singing some French and Arabic songs brought back fond memories of his childhood. 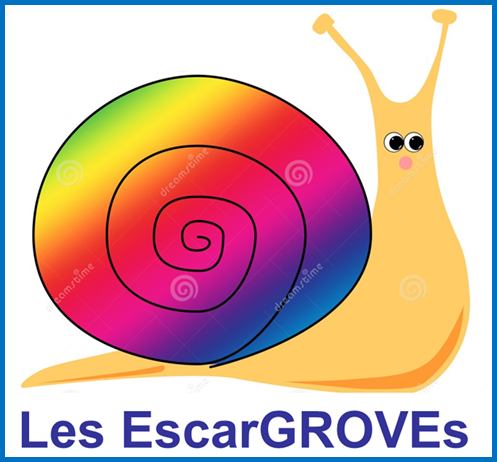 It was a real pleasure to welcome such an enthusiastic and prolific linguist to the EscarGROVEs and we hope that he visits again in the future. We are very fortunate to have at Grove a range of parents, children and staff who have links to foreign lands such as Portugal, France, Turkey, Poland and even Honduras. Wouldn't it be great if they were to visit the club to a part of their culture with us! Click below to see some photographs as well as audio and video recordings from our first visitor to the club. Do you want to try to sing in Arabic? 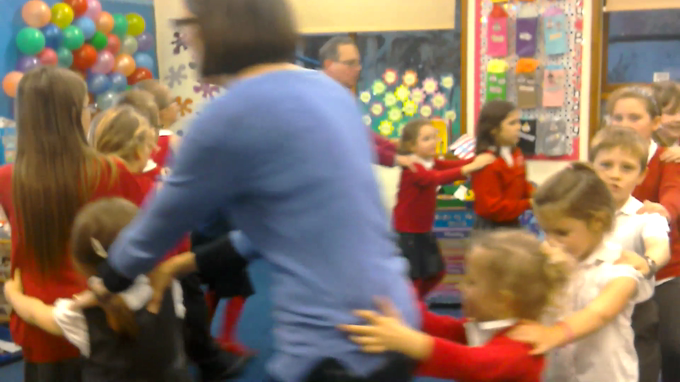 We sang "Tourne, tourne petit moulin" to practise saying accurately some key French sounds such as "ou, in, oi, on, eau"
We sang and mimed "Sur le Pont D'avignon"